Correction: Previously, this story said Patrick Carr went 6 drives between carries in the first half. He had one carry in those 6 drives – the story was changed to reflect that. In 12 regular-season games this year, the Coogs gave up 413 points. That’s 127 more points than in 12 games last year. 11 ppg more. And many of us thought that defense was no good. This season, we gave up 219 points in 4 losses. That’s over half our points in just 1/3 of the games. – We gave up 27 to Rice. It is their second-highest point total against an FBS team (29 – Hawaii). – We gave up 63 to Texas Tech. They haven’t come within 15 points of that number in their other 9 FBS games. – We gave up 26 to Tulsa. It’s their third-highest point total (the two worst were bottom-dwellers UConn & Navy). – We gave up 36 to Navy. It’s their third-highest point total vs FBS. That’s all before the Ed Oliver injury. That’s … that’s not good. We gave up 401 yards rushing to Memphis. 401 yards rushing is embarrassing. Flat-out embarrassing. Memphis ran it 59 times and averaged almost 7 ypc. In the last half of the season, we’ve given up an average of 278 yards a game on the ground. 1,668 yards in 6 games. In the last 5 years, we’ve given up 300 yards rushing just twice (BYU 2014, Navy 2016) but it’s happened 3 times in 2018. This is the first time we’ve given up 400 in that span. 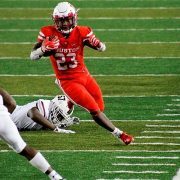 The Coogs have given up 34 rushing TDs this year. That’s just 3 from the school record of 37. UH gave up 500 yards in half our games this season. 600 yards twice. This scheme doesn’t work here. A change must be made. A change will be made. But it wasn’t all on the defense. The offense was mediocre for much of the day. 24 offensive points won’t cut it. 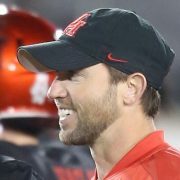 It was another game where Kendal Briles’ play-calling was suspect. Patrick Carr was running by guys – the only holes we opened up all day. So how does he get just 12 carries? Carr ran for 6.9 ypc but after the opening TD, he had one carry in the next 6 drives. That makes no sense. Why get cute? Run the ball with your best back. Meanwhile, we allowed a freshman making his first-ever start (and on the road) to throw it 43 times. Why is that the game plan? We never tried to take the game right to Memphis. We had 6-8 drops by receivers – Stevenson, Brooker, Corbin each had at least one. We have a WR coach and a TE coach – I think we can safely eliminate one of those positions and hire a special teams coach. We were in this game for a half. The offense needed to bail out the defense – meaning, extend drives, run the ball, convert on 3rd down. We were pretty terrible in the 2nd half on 3rd down. It’s clear that Tune will skip the bowl game and either Dormady or Bryson Smith will play QB. 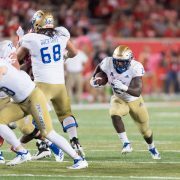 That will preserve Tune’s redshirt year and give us options going forward. Major Applewhite is now on the clock. He’s 15-10 as a head coach. Only 1 win in those 25 games has come against a team that won more than 7 games. And as one of our Veer members pointed out, 15-10 is same record Tony Levine had in his final 2 seasons before getting fired. But Tony only lost by 10 or more twice in those 2 years. It’s been 6 times for Major. 40% OFF! 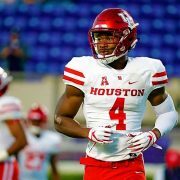 – We made this story free today but most GoCoogs.com articles are not. Right now, we have a Black Friday Special – 40% off of our regular subscription price. 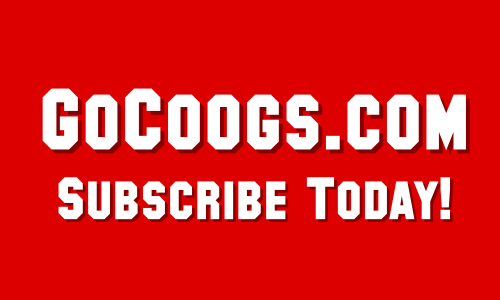 Just $47.99 for one year of GoCoogs Insider access. Just How Important Is October For This Football Team?